18ft. 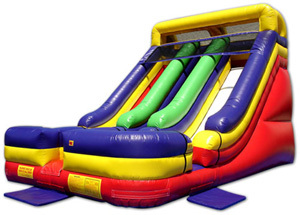 of pure slide excitement. 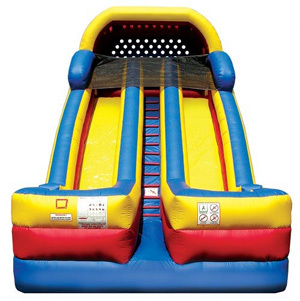 Riders climb the left side and slide down the right. 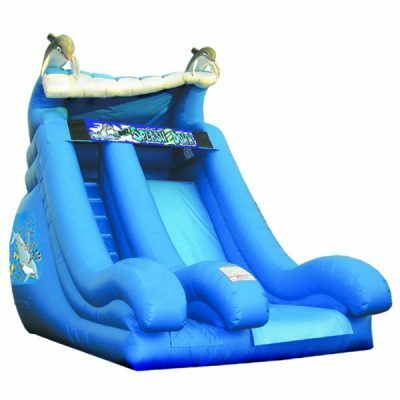 The slide has added safety features of a covering at the top ensuring that the riders cannot stand-up while on the top of the slide. 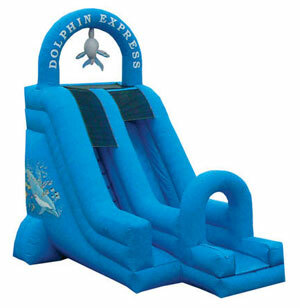 Perfect for birthday parties or large events. Tsunami requires a regular household outlet for power. 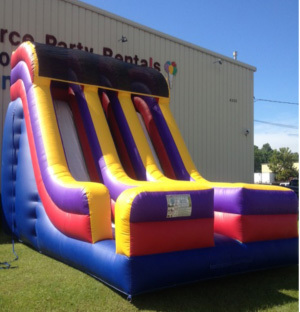 Each inflatable unit requires a dedicated 20amp household breaker for power. FUN SOURCE IS NOT RESPONSIBLE FOR POWER NEEDS. We do rent generators should power be needed for your event. One generator will power 2 inflatables.